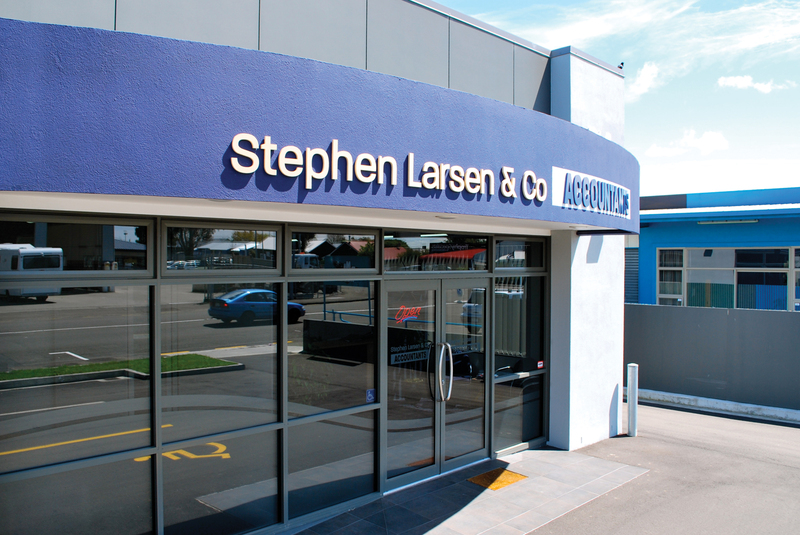 Stephen Larsen & Co is ALL ABOUT YOU! We are offering YOU a complete Accounting and Taxation service whether it is for your business, an organisation, or for your own personal needs. Our service to you includes all the standard accounting and tax requirements, BUT... we go further! To ensure YOU and your business get the best result, we extend to extensive analysis, planning and advising. We want to help you grow your business, increase your profits, maximise your wealth, minimise your tax and ensure you are IRD compliant. We are small enough to care! If you want personal, individual service, this is where you should start. We are accountants that believe you deserve prompt and courteous response, and you can be assured that your accounting affairs are handled totally professionally. We have further resource! Where specialist assistance is required (for example legal or tax dispute matters) we have a broad range of contacts we draw on to ensure your matters get the best attention from some of the best in the industry. YOU need the best possible effort - we leave nothing to chance. Stephen Larsen & Co offers broad spectrum care and support. We can look after your accounting needs whether you are an individual, sole trader, partnership, company, family trust, landlord, community group, not-for-profit organisation, Maori Authority... the list goes on! We work your way. How do you like to work? A shoebox under the bed? BankLink? Manual cash books? Computerised accounting system? Or, you can even throw us your bank statements and we sort out the lot! We like to make it easy for YOU! We have never made a better decision. We were looking for a new accountant and we had often driven past Stephen's accounting sign and so decided to visit him. This was three years ago and we have never made a better decision. We have found him to be extremely professional. Our accounts have been completed quickly and efficiently, and our meetings have been succinct and his advice sound. We highly recommend Stephen Larsen as he continues to be an excellent accountant for us.